One of the benefits I offer my clients are Moving Services that help you plan the move and have it go as smoothly as possible. 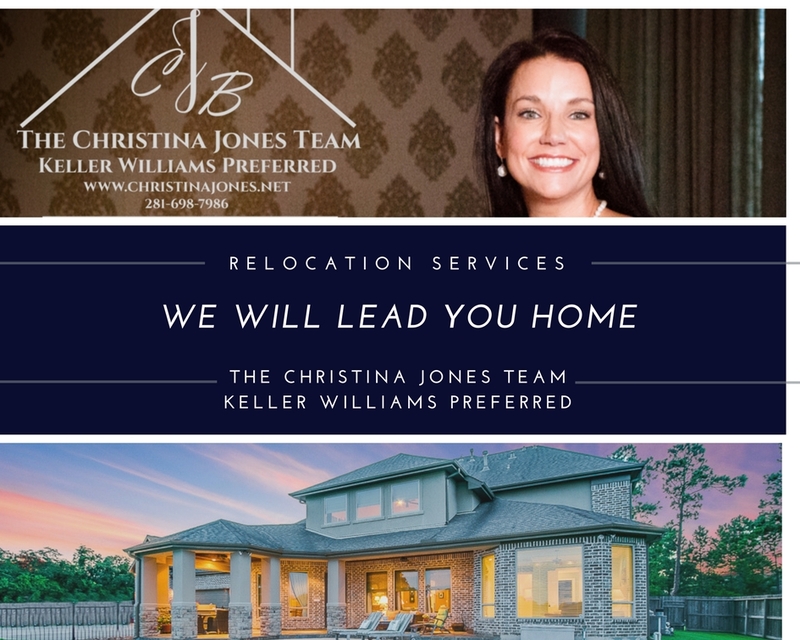 Whether moving locally, stateside or even international, The Christina Jones Team at Keller Williams Preferred has you covered. We have an extensive network of referral partners worldwide from California to Hawaii, from Texas to Australia and more….to ensure you and your family are well advised and taken care of during your move. Give us a call today for more information at 281-698-7986! 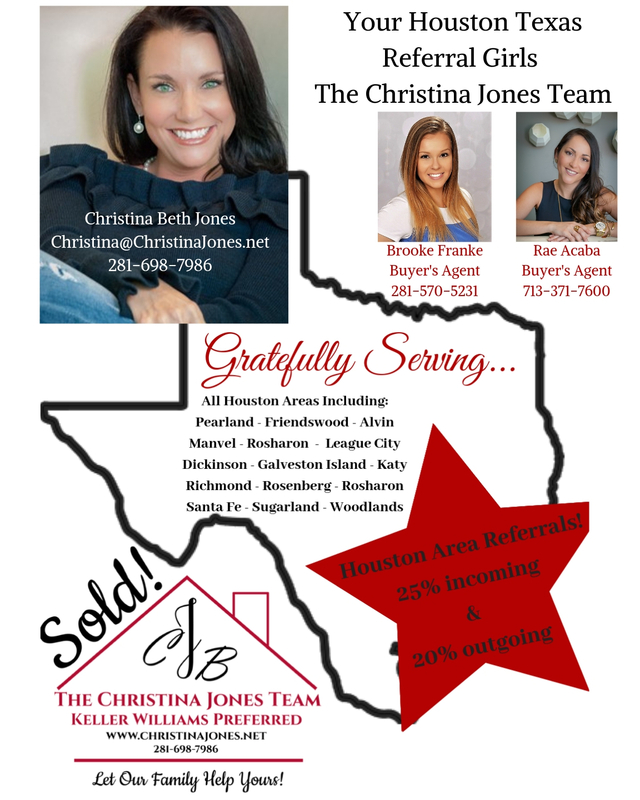 REALTOR friends, take a look at our areas of service!! We are committed to honoring our industry with more than fair referral fees!! So in keeping with that, we are paying 25% on all referrals received and asking only 20% on incoming from you! !